The Haryana State Industrial Infrastructure Development Corporation (HSIIDC) has been given the responsibility to develop these cities. CHANDIGARH: Haryana Government plans to develop five new cities along with the Kundli-Manesar-Palwal (KMP) Expressway in the National Capital Region (NCR), the first proposed green field city will come up next to Gurugram and will be planned and developed on public-private partnership (PPP) model. The Haryana State Industrial Infrastructure Development Corporation (HSIIDC) has been given the responsibility to develop these cities. Sources said that a high-level meeting was held on Thursday in which the plan to develop these five cities along the KMP expressway was deliberated upon. As per the proposed plan a new master plan will be made to develop the area left outside the Gurugram-Manesar Urban complex. In this, the area from Manesar towards Rewari and the area around Pataudi will be incorporated. To make this master plan 2040 HSIIDC has issued request for proposal (RFP) for selection of the consultant. As per the RFP the authority has decided to prepare a master plan for a new Greenfield city adjoining Gurugram which will be spread over an area of about 50,000 hectare. The master plan report shall include review of the existing planning framework, land-use, transportation infrastructure, demographic and socio-economic characteristics. It shall provide medium and long-term population projections and a concept master plan consisting of physical and social infrastructure requirements, transportation network plan, land use plan along with the proposed development control and zoning regulations, states the RFP. It is learnt that the plan of Haryana Government is to develop a few cities around Gurugram and Delhi so that these are take off a little load from these two cities. 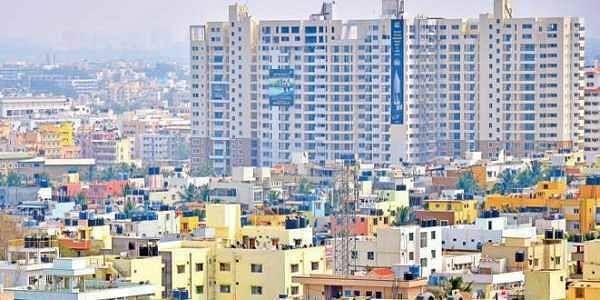 This proposed new city to be developed in a public-private partnership (PPP) model, is expected to be spread over in one lakh acres and will have residential, commercial and industrials area and is expected to be developed on the lines of Dubai or Singapore and will be larger than Chandigarh. The selected consultant will prepare the master plan for this new city, for which the report is expected in six months, said sources. The proposed city will be located to the south of the National Capital Territory (NCT) of Delhi. It will shares its boundary with the Gurgaon-Manesar urban area on the North and Aravalli Hills on the North-East. National Highway-48 (erstwhile NH8) defines the western boundary of the city while the eastern and the southern boundaries of the city are currently surrounded by agricultural land. It will be well connected to the neighbouring urban centres through National Highways -48, State Highway-13, SH-28, KMP Expressway and other major district Roads states the RFP. Sources said HSIIDC has already initiated the procedure of selecting the consultant and that bids have been invited till July 3. Sources said that the 135 kilometre stench of the expressway fall in Haryana and rest 80 Km in Uttar Pradesh is likely to start in August and thus the state government plans to develop the area adjacent to both sides of the express way and thus 360 Km area is likely to be developed. It would cover five districts--Sonipat, Jhajjar, Gurugram, Mewat and Palwal. Once the expressway is operational vehicles coming from North India onto National Highway 1 (Delhi-Ambala-Amritsar) and going towards Rajasthan and Gujarat can get on the expressway and take the National Highway 8 (Delhi-Jaipur-Ahmedabad-Mumbai) at Manesar. Similarly, those driving towards central and south India can take National Highway 2 (Delhi-Agra-Varanasi-Dankuni) at Palwal and will also connect NH-10 (Delhi-Hisar-Fazilka-Pakistan border). It was estimated that some two lakh vehicles will use this expressway.